I’m wondering more and more if there’s a generational element going on here – I can’t remember a world without telly chefs – Keith Floyd I think made the strongest impression early on, possibly because he was all over TV like a rash at about the stage I had to fend for myself. And that’s when I came into contact with Madhur Jaffrey too – went charging out to buy the spices (I love the Curry Bible too). 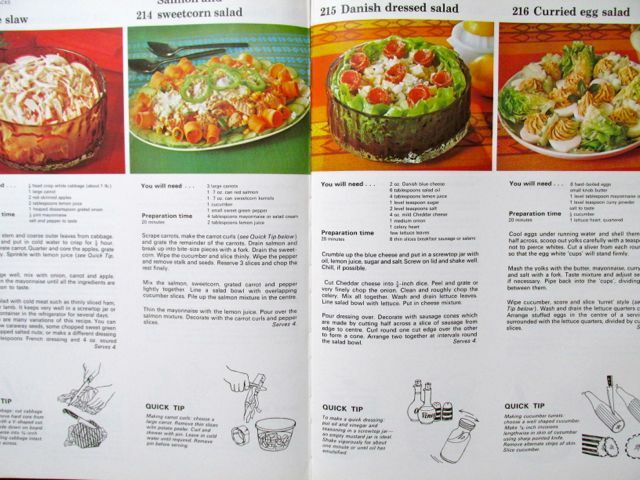 Take off the quick tip section on that last photo and it looks very much like the Marks and Sparks cookery books which got me through studenthood. 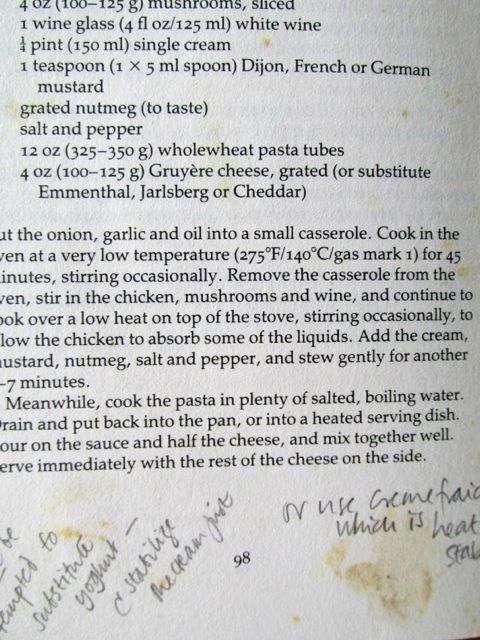 Like Janet, I rarely follow a recipe – I take them as a vague guidance to weave in whatever I’ve got to hand or feel like at the time. Luckily that hasn’t led to any disasters… yet. Spookily, I was thinking about this blog yesterday and now here you are. Nice to see you’re back and you’re absence has been because you’re busy. Ooo ooooooo, spoooooky. Yup, here I am…. went out for lunch with friends today who have also been rushed off their feet all summer, and we agreed we’re a) knackered, b) have had enough of the tourist season and all the consequent stupidities (one saw someone driving around her campsite at speed yesterday with a young child RIDING ON THE ROOF – the site roads may be private but all the laws still apply), and c) that we’re getting too openly sarcastic. Probably just as well that the season is drawing to a close. Noooooo – the second you’re should be your and the third you’ve been! I need an editor! Nah – you realised it!